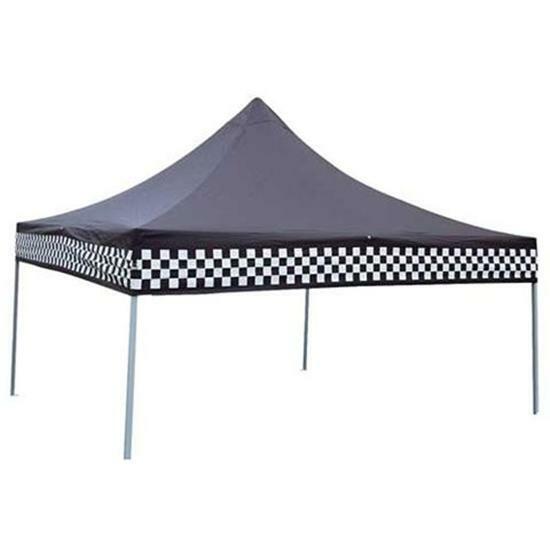 Create your own shade at race tracks and cars shows with these 10' x 10' canopies. They are adjustable for height and include a small “foot” that has a hole in it to allow the legs to be secured to the ground. They easily fold to 60" x 9" for easy transport and storage. Includes carrying case.